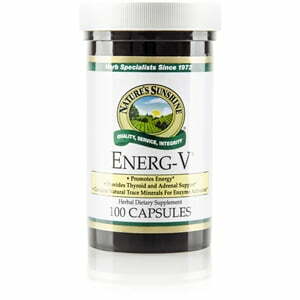 Nature’s Sunshine Energ-V® provides key nutrients that work to support the body’s ability to build energy. Kelp and licorice are sources of essential nutrients for the glandular system, assisting in the body’s stress-coping functions, and schizandra and eleuthero support the body in stressful environments. Gotu kola, another ingredient of Energ-V, provides nourishment for the brain and the nervous system.